Q>I've seen this course advertised as an 8 week course elsewhere, why is this course 12 weeks? A>In order to qualify for entry into the Yachtmaster Offshore motor exam you must have 2500 NM and 50 days active sea time. There are 2 weeks required for theory and the Allabroad fast-track Motor course includes the 5 day STCW basic element. This course leads to an MCA / DOT approved certificate, It is not possible to meet the legal criteria of this course in 8 weeks, even without STCW, you would be required to go to sea every single day for 8 weeks solid and there would be no chance to complete any of the theory elements. Q> Where do I go? A> You will visit many ports in Spain, Portugal and Morocco, you will be in a marina each night but you will have to do the odd overnight passage. Q> What equipment is on board? A> This is a luxury motor yacht with 2 chart plotters with Radar Overlay, AIS Transponder for your safety, air conditioning, bow thruster, trim tabs, Generator, Autopilot and electrical toilets, no manual pumping! 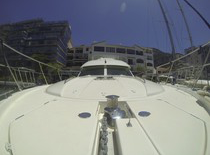 Q> I have seen the Yachtmaster Fast Track Motor course for less, why is the Allabroad course more expensive? 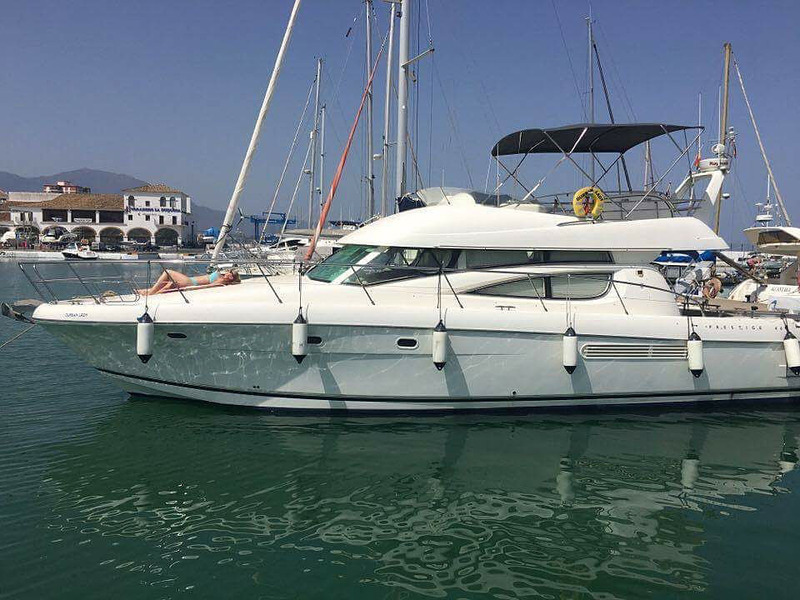 A> With us you will be training on a £300,000 luxury motor cruiser building hands on helm experience on a larger yacht means you will be far better at boat handling. Also building miles at 20 knots means that more of your course time is spent on boat handling and not rolling around at 7 knots for days on end. Q> Can you finance the course for me? A> No, we are not finance providers, but we may be able to point you in the right direction. A> With larger boat experience and on board systems training you can expect to earn around £24 to £36 K pa tax free in your first year. Many of our students pay off their training fees after 18 months and live a pretty good life in the meantime. After 3 years you could be on £36 to £45K if you continue to invest in yourself and further your training. These are recent pictures of the actual vessel you will be training on, and these are recent photos taken Monday 9th January 2017. Many training centres post pictures from when the vessel was new or use brochure shots. All these pictures are of MV 'Durban Lady' as she is now, you will be training on this vessel throughout your 12 week Yachtmaster Motor Fast Track training course.